Great Parkview home! This cute Redwood plan offers 3 Bedrooms/ 2.5 Bath. Kitchen features granite C-tops including island, plenty of cabinets. Living room has gas log fireplace w/ built-in shelves/cabinet. Master BDR features trey ceiling, WIC, walk-in shower in M-bath. Flex/loft area is great for use as study, office, or rec space. Flat lot with privacy fence in backyard. Beautiful views out back of natural area. With low maintenance, enjoy nearby parks, greenway, Neuse River in your free time! Directions:From Raleigh, take I-40 E, take US 70 Bus E, exit 306 towards Clayton. L on Shotwell, R on Old US Hwy 70, L on W. Stallings, L on Liberty, R on Crawford, R on Forsyth, L on Golden Gate. SchoolsClick map icons below to view information for schools near 71 Golden Gate Parkway Clayton, NC 27520. Home for sale at 71 Golden Gate Parkway Clayton, NC 27520. 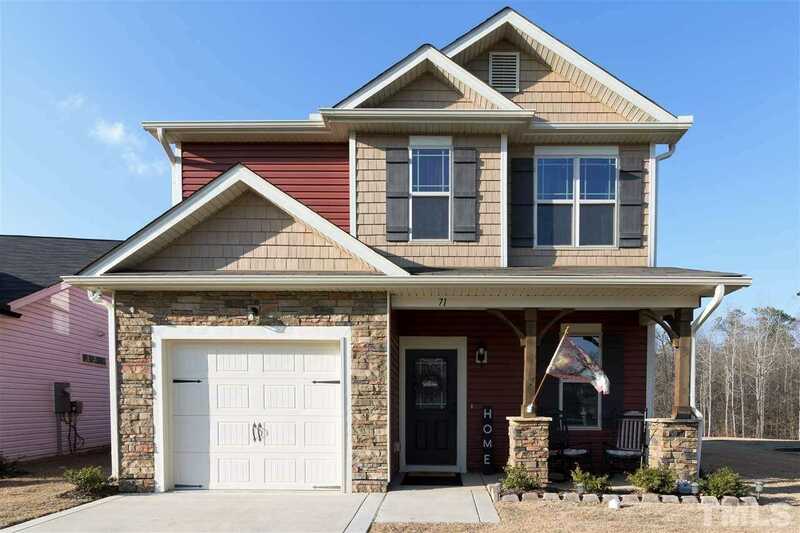 Description: The home at 71 Golden Gate Parkway Clayton, NC 27520 with the MLS Number 2235540 is currently listed at $199,000 and has been on the Clayton market for 74 days. You are viewing the MLS property details of the home for sale at 71 Golden Gate Parkway Clayton, NC 27520, which is located in the Parkview subdivision, includes 3 bedrooms and 3 bathrooms, and has approximately 1510 sq.ft. of living area.